DJ Irving G Archives - B-Boy Productions, Inc.
February 28, 2017	by B-Boy Productions, Inc. If you’re having a private event in the panhandle of Florida, finding a 30A bilingual DJ is not easy. With Irving Gil on our team, we have you covered. But don’t let that fool you, being bilingual is not his only asset. Irving is one of the most hardworking and caring individuals you will meet (seems to be a common theme with our staff). Authenticity is the word we think of when we talk about Irving. He’s the real deal. What you see is what you get. 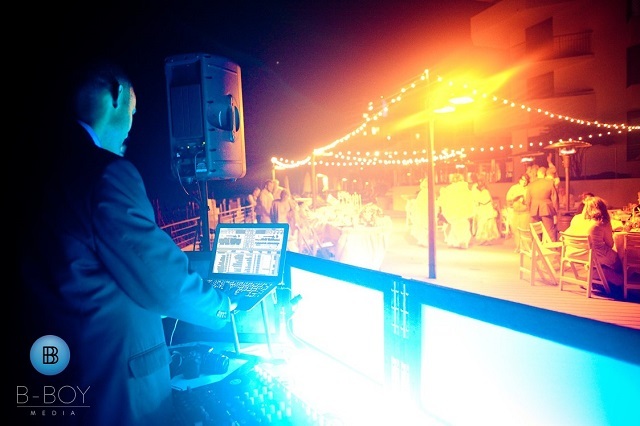 He constantly tells our clients who have chosen him as their DJ that he will do everything in his power to make sure their event stand out and be the best it can be. If the event calls for standard announcements and great dance music, he can do that. If you want him to interact with the crowd and lead the latest line dances and make all of your guests feel comfortable, he’ll do that too. Over the years, he’s found his most successful parties to be ones where he’s paired with clients that are looking for some type of interaction – not necessarily cheesy DJ stuff but just being warm, inviting and pulling out all the stops to make sure every guest (from 3 years to 95 years of age) walk away saying, “That was one of the best parties I’ve ever been to!” Being a father of three kids, if your event has kids in attendance and you want them to feel involved, Irving can make it happen. We have many repeat family friendly clients who ask for Irving specifically year after year due to this very fact. Being from the Dominican Republic, we lean on Irving to keep our Latin music library up to date. As far as MC’ing goes, he’s done entire events in Spanish, gone back and forth throughout the night, switching between English and Spanish or kept all in English. He will work with you to make sure we get it just right! To read more about Irving and see his reviews, click here. Based out Crestview, we book Irving there as well as all over the panhandle of Florida. His event schedule has limited availability so to book him for your event, contact us today. 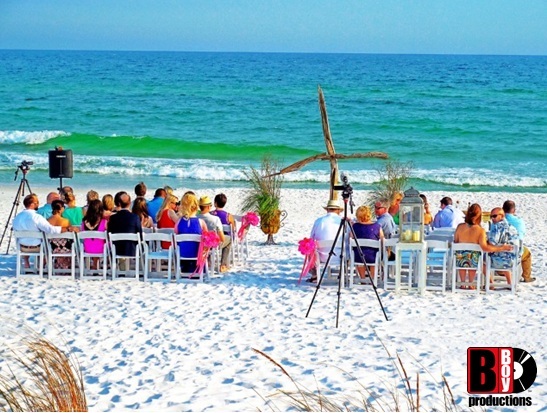 November 15, 2016	by B-Boy Productions, Inc.
Can you have a Destin Beach House wedding with 200 guests? 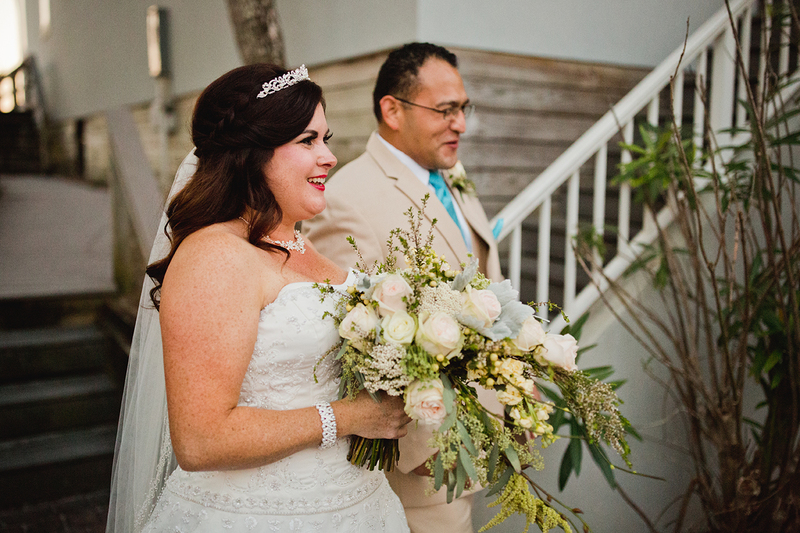 Jenni and Rafael’s wedding proved that you absolutely can. Being locals, they had the advantage of scoping out of the site and deciding to use two rental houses that were next door to each other. 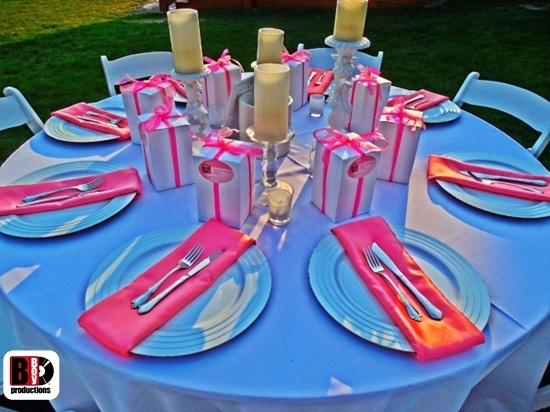 This allowed them to create different “venues” for different portions of the wedding. The day started off perfect. There was not a single cloud in the sky and the October temperature was nice and cool with very little humidity. The beach ceremony set-up looked amazing. Irving Gil, our only bilingual DJ/MC on staff, made all the announcements in both Spanish and English due to the blended ethnic cultures being represented. Due to the guest size, we brought in one of our other headliner DJs/MCs, Jae Richie, to assist Irving. Being a former semi-professional dancer, Jae taught some of the guests how to dance to salsa, bachata and merengue so everyone felt included. Everyone had a great time. This was the perfect staff pairing to bring this wedding to the next level. Some notable songs of the night are: Treasure by Bruno Mars, Vivir Mi Vida by Marc Anthony, and Kulikitaka by Toño Rosario. These songs made everyone go crazy. People were dancing the entire night; from before dinner started till we had to stop at 10PM. We love Latin crowds because the music makes everyone want to get out of their seat. We wish Jenni and Rafael a happy and blessed life! April 8, 2015	by B-Boy Productions, Inc. 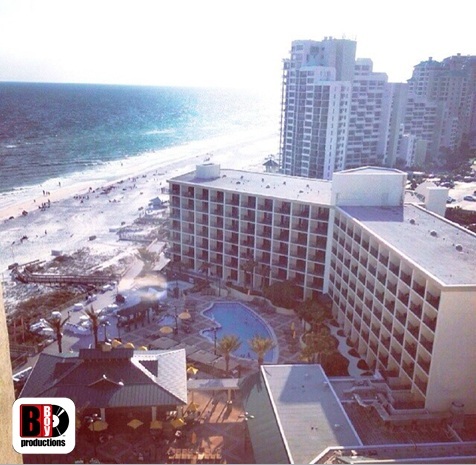 The location was the Sandestin Hilton Beach Golf Resort & Spa. We had a full B-Boy team in effect with a ceremony violinist, photographer and 2 person DJ/MC Package. We also got a chance to work with the amazing vendor team of Kiss The Bride Wedding & Event Planning and It’s A Perfect Day Wedding Florist. What started out as a calm, warm day turned into a very windy affair for Levi Croy and Andi Seward’s wedding. This, however, did not dampen the joyful atmosphere and despite uncooperative weather conditions, the feeling was warm and loving. 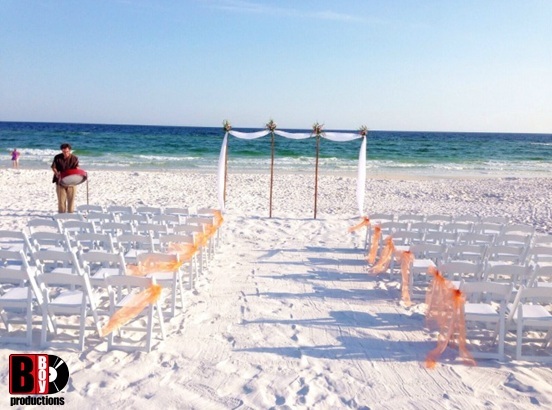 This particular Sandestin Hilton Wedding ceremony took place on the beach. 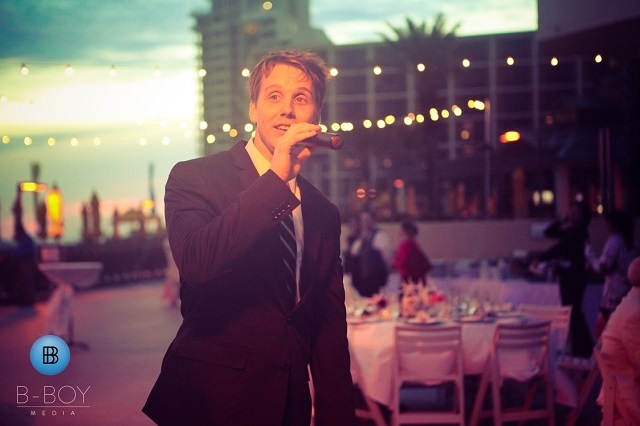 Our violinist set the mood with some beautiful classical selections picked by Levi and Andi. They wrote their own vows which were extremely touching and heartfelt. In what was one of the coolest things I’ve ever seen, they incorporated a “dove release” just before they were pronounced husband and wife. 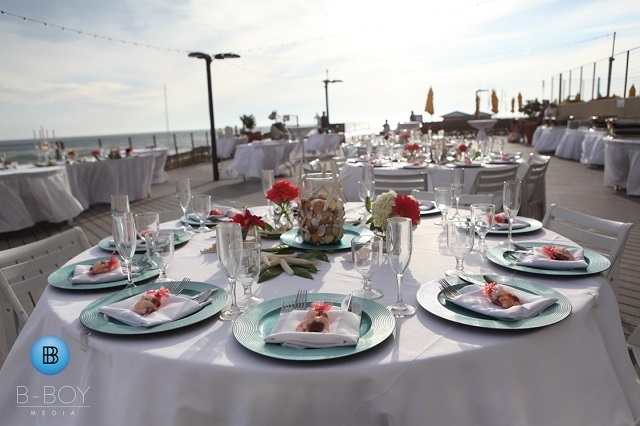 We transitioned into the reception on the Sunrise deck and the table décor and florals absolutely captured the Spring destination feel they were going for with teal and pink colors. With memorable toasts and a real sense of togetherness, you could not tell which of the guests were from the bride’s side and which of the guests were from the groom’s side. My partner for the evening, DJ Irving G, orchestrated a fitting soundtrack as guests danced the night away. We wish you the best Levi and Andi! September 3, 2014	by B-Boy Productions, Inc. 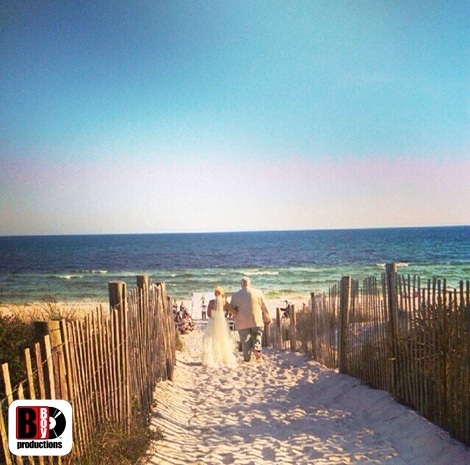 It was a perfect day for getting married in Sandestin, FL! 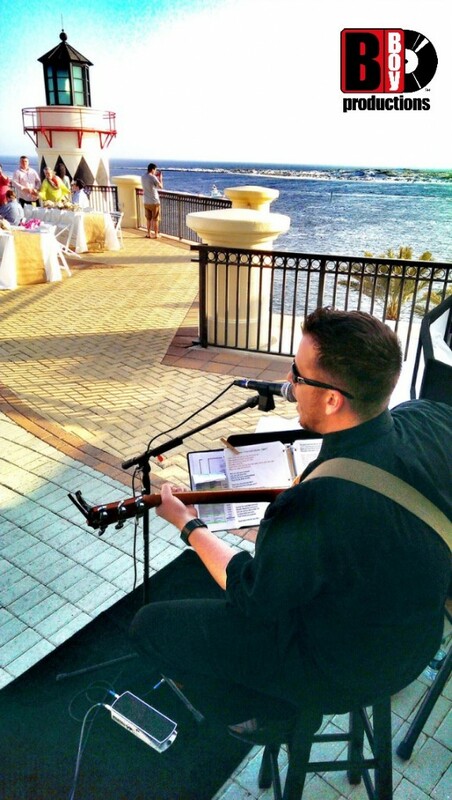 As guests started arriving at the Bayview Room and Terrace for cocktail hour, you could see them tapping their feet as they listened to the smooth jams of one our live musicians, Wes Heath, on the guitar and vocals. Everyone was smiling and talking about the beautiful ceremony they had just witnessed. Once everyone made their way inside for the reception, I knew we had an amazing crowd! They were full of energy which is a key ingredient for an epic party! After introducing myself as the Emcee and my partner in crime for the evening, Dan Davis, as the DJ, we kicked into “Love Never Felt So Good” by Michael Jackson for the bridal party introduction. 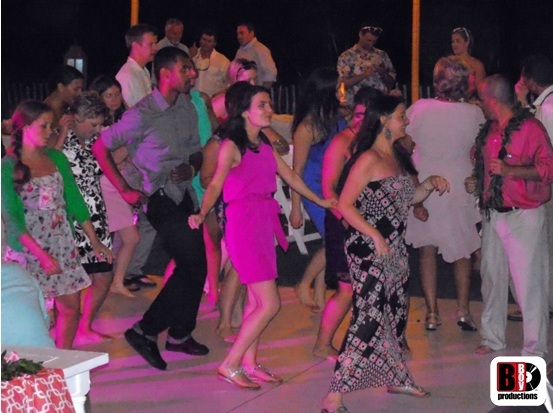 Each VIP bridal party member danced their way inside the reception hall. After the last of the bridal party made their way in, we shut the doors and I got the crowd ready for our bride and groom. The anticipation was at the apex when those doors finally swung open. The crowd exploded with a deafening roar of cheers for the new Mr. and Mrs. Becker! The night went flawlessly! People were laughing, dancing and having an all-around good time! Earlier at the ceremony, the grandmother sustained a minor injury and had to go to the hospital. Both her and her husband weren’t able to make the reception early on. After getting word from our coordinator that they would be able to make an appearance later on, I had her cue me when they arrived. I called everyone out to the dance floor with Art and Brittany standing at the front so when the front doors swung open and I announced them in, they went crazy yet again! It gave the party a second wind. Brittany, our bride, got to dance with her Grandfather to “Fly Me to The Moon” by Frank Sinatra. 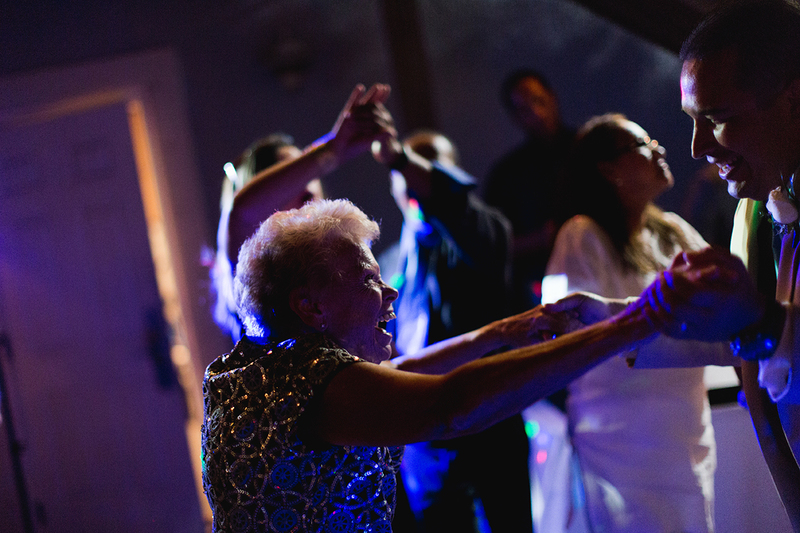 As the music played, you could see a huge smile on the grandmother’s face as she witnessed her first granddaughter dancing with her husband. As for the dancing, it didn’t take hardly any time to get everyone up and partying. With New Yorkers in the house, we hit them with “Juicy” by Notorious B.I.G. and, of course, they knew all the words. For all the Chicagoans (where the bride and groom live), we dropped “Homecoming” by Kanye West and everyone went nuts. We finished the night with “Don’t Stop Believing” by Journey and ended on a high note. 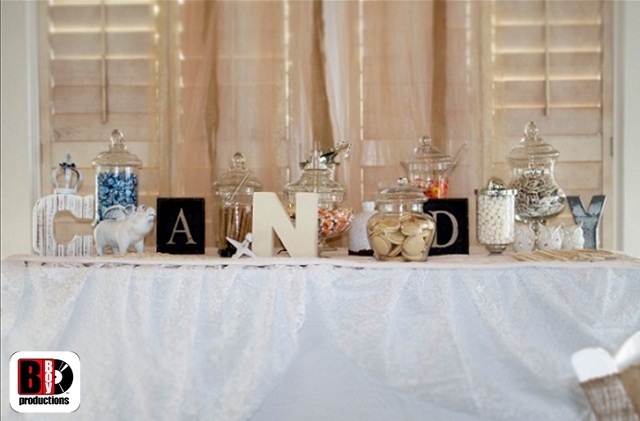 We worked with some talented vendors as well to pull off this incredible wedding. 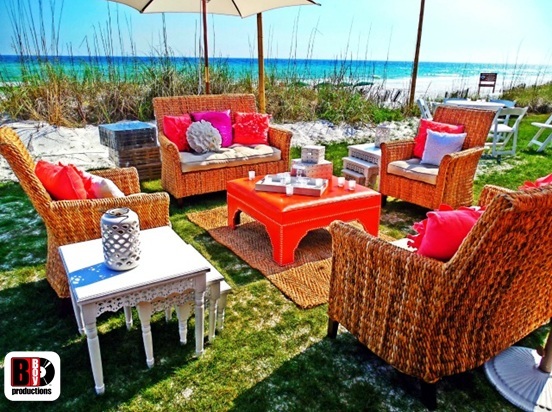 Kelli Deary coordinated the event for Sandestin Golf and Beach Resort. 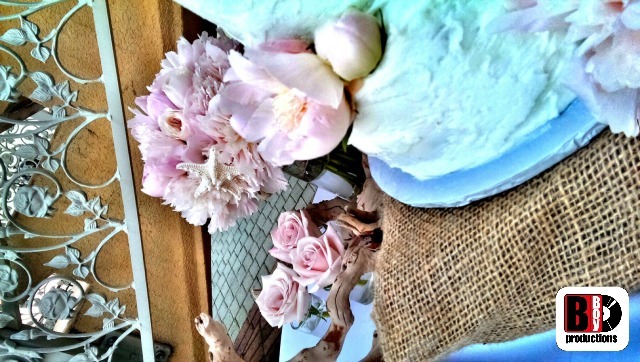 Patty Bilbo from It’s A Perfect Day provided all the florals and decor. Heidi from Bake My Day made the cake. Last but certainly not least, Sarah Lyn Photography was on hand to capture the day in photos. This was definitely one of those weddings where I realized I have the greatest job in the world. 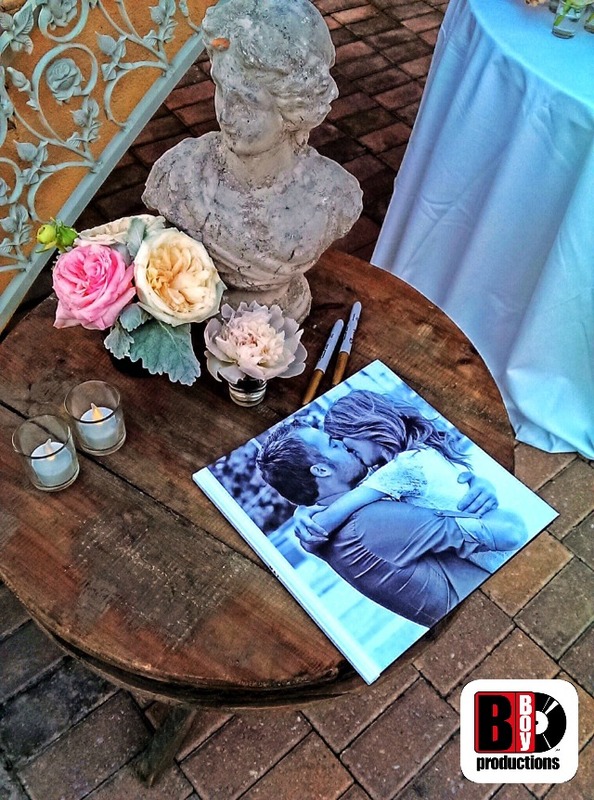 I love to DJ weddings and play a part in a couple’s special day! Thanks for having us Art and Brittany! We wish you both the best! May 20, 2014	by B-Boy Productions, Inc.
Whew! What a weekend. 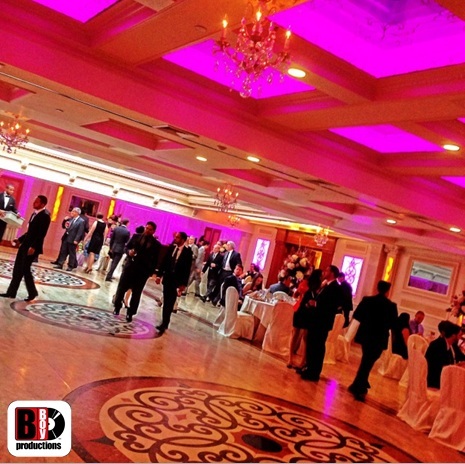 We are just now recouping from a phenomenal weekend where we had 12 events across Florida and New York. Here’s a little journey through our DJ Entertainment life in pictures. 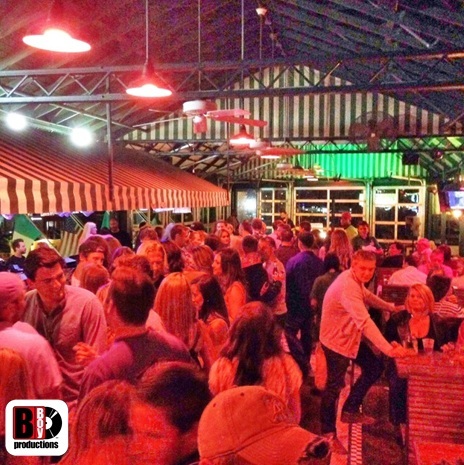 On Thursday, DJ Brian B kicked off the weekend at McGuire’s Irish Pub of Destin in Destin, FL. 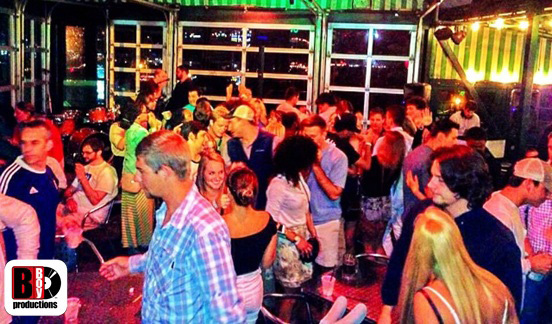 It’s Destin’s best Ladies Night and DJ Brian B did not disappoint. He was rocking it along with the band, Grape Drink. It was packed! If this is any indication of what the summer is going to be like, we’re in for a good one. We’re there EVERY Thursday from 10PM – 2AM with a rotation of our DJs and there’s no cover! 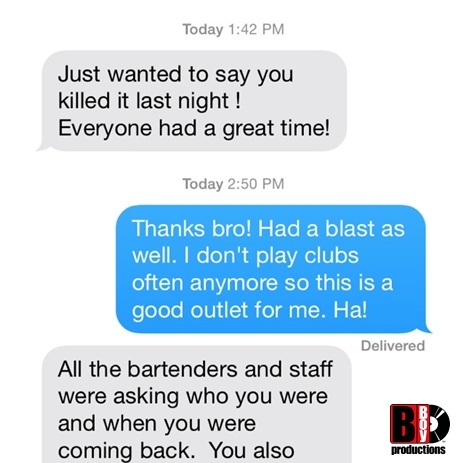 It even prompted this amazing text from management to Brian B.
Friday night, DJ Irving G was mixing it up for the wedding of Craig Farthing and Nicola Kirkham on the deck at the Hilton Sandestin in Destin, FL. Look at this view! Saturday, we had 7 events on the schedule. 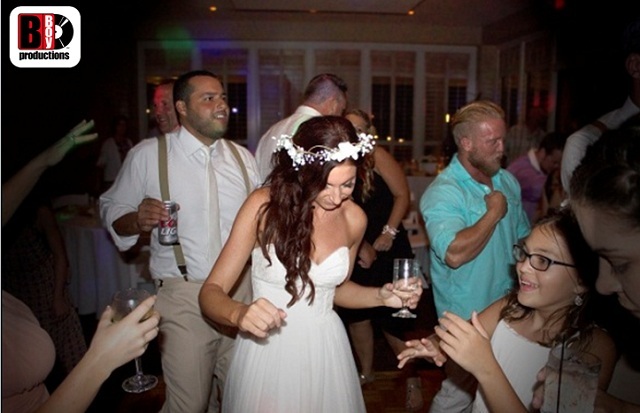 DJ Dan Davis kicked it off with the wedding of Meagan Blais and Lacey Nivers at a private residence in Navarre, FL. Dan handled the ceremony sound and DJ/Emcee duties. 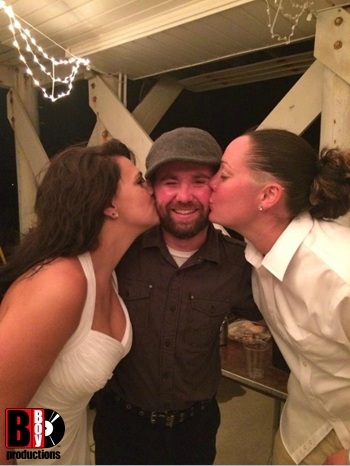 He did so well that it even warranted a kiss from the brides at the end of the night. 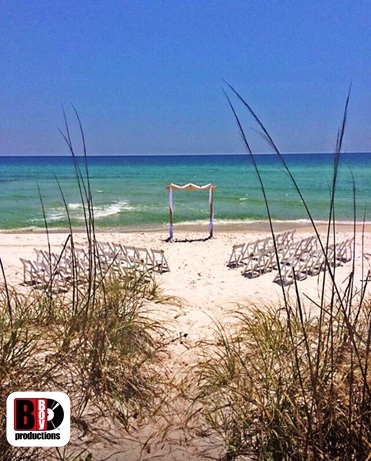 DJ Irving G was at Bud and Alley’s in Seaside, FL for the wedding of Chris Olfers and Arielle Warner. We worked this wedding with the uber-talented Heather Archdeacon-Williams from Defining Moments Wedding & Special Events. 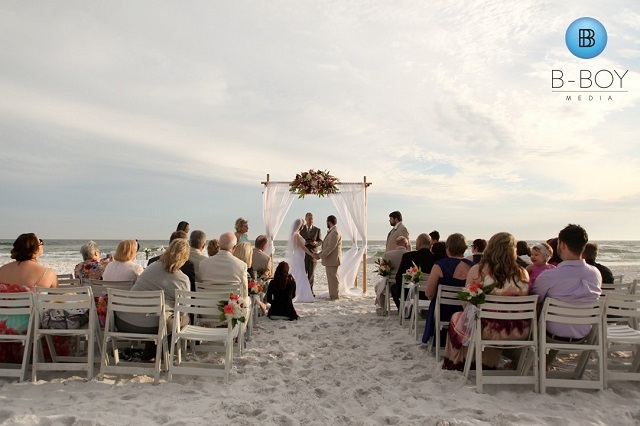 We had a chair rental for a Seascape Golf Beach & Tennis Resort wedding at Whale’s Tale in Miramar Beach, FL. Our own DJ Charles and Mace Livingston handled the chair set-up. 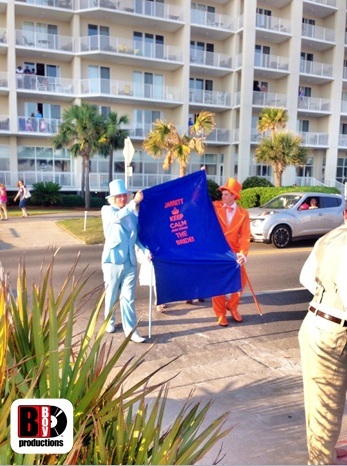 The wedding even featured a special appearance by Harry and Lloyd from the movie Dumb and Dumber to announce the arrival of the bride. Ha! Meanwhile back at the Hilton Sandestin, DJ Josh B was rocking the turntables for the wedding of Ryan Murray an Liberty Getman. 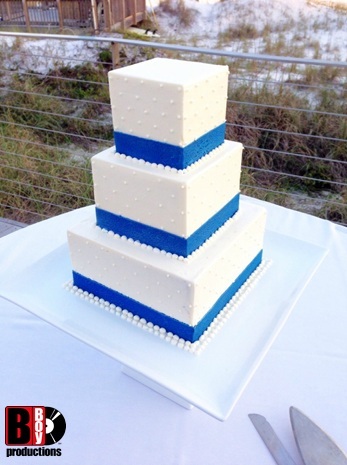 Check out this amazing cake by the Hilton Sandestin Beach Weddings’ own Yascha Becker. Incredible right? 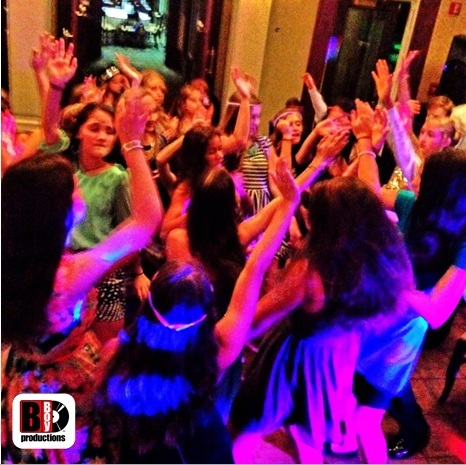 DJ Brian B and DJ Charles did a tag team DJ set for the Bat Mitzvah of Sophia Feldman at Rutherford’s 465 in Destin, FL. We had 3 party motivators assisting us and the event went off without a hitch! 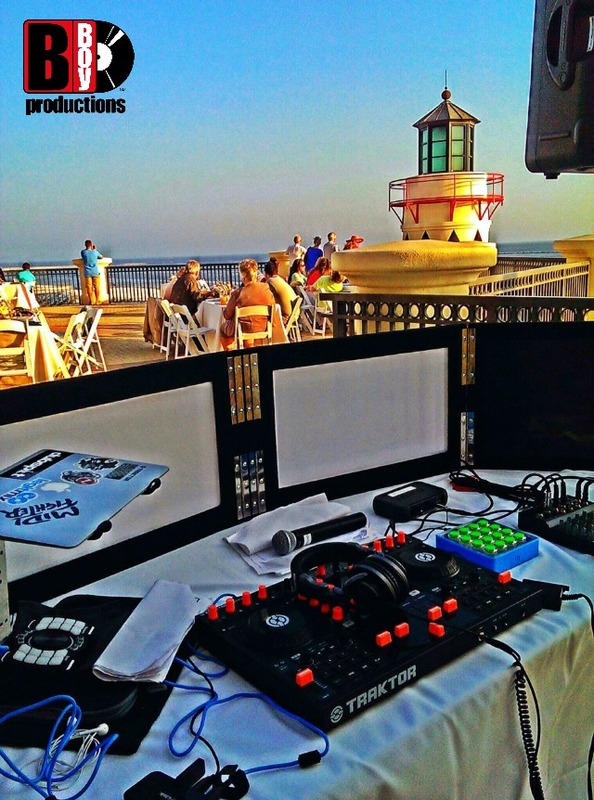 Sunday, DJ Irving G and DJ Charles were at the Palazzo Del Sol house in Destin, FL for the wedding of Matt Gerry and Elena King. We worked with Shana Bliss of Laugh Live Travel and Laugh Love Events Exclusive Concierge. 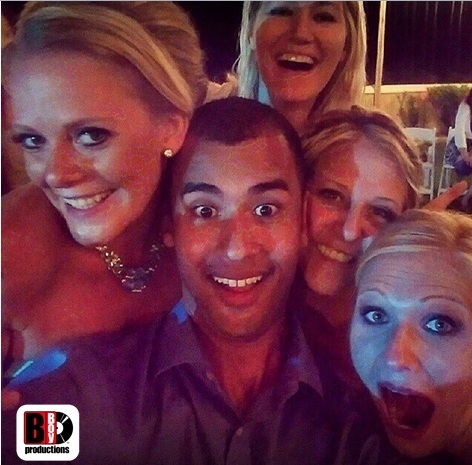 Irving even got a selfie with some of the bridal party! Ha! Meanwhile, DJ Brian B took an early morning flight back to New York for the wedding of Patrick Gillen and Chantal Lutin. It was held at Jericho Terrace in Mineola, NY. The venue was absolutely stunning. That was a quick snippet of our weekend for you! We sure do love our job and our clients are absolutely the best. If you have a need for our services, contact us ASAP as we’re booking into 2015 right now. 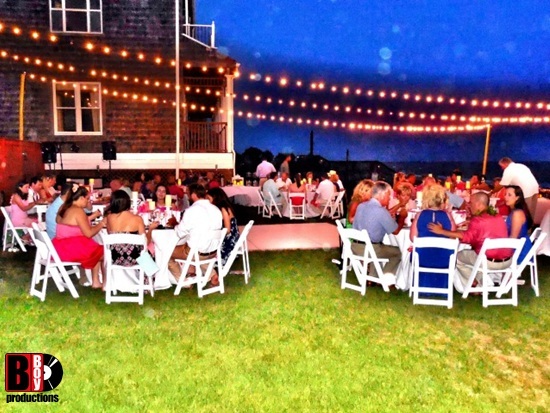 Not having your event in California, Florida or New York? No problem! We are a nationwide company that can be booked throughout the United States and abroad. May 5, 2014	by B-Boy Productions, Inc. 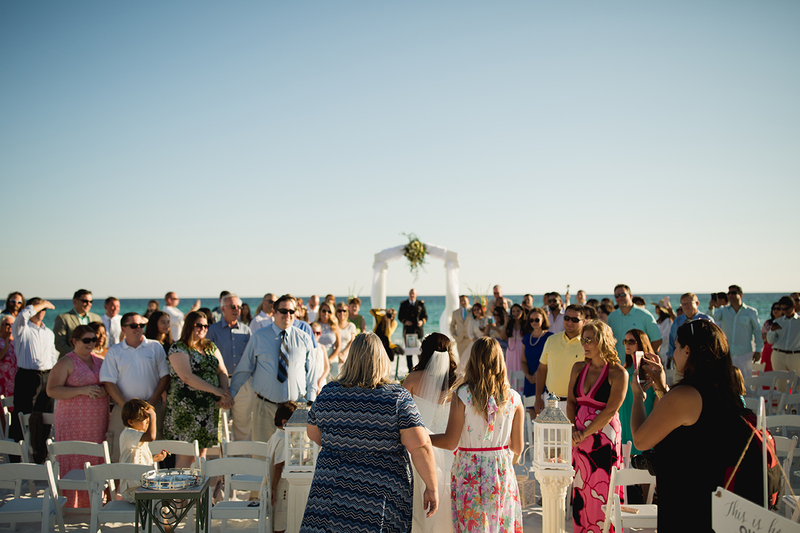 The weather was just PERFECT on this day…especially for a wedding, and we love doing weddings at the Emerald Grande in Destin. 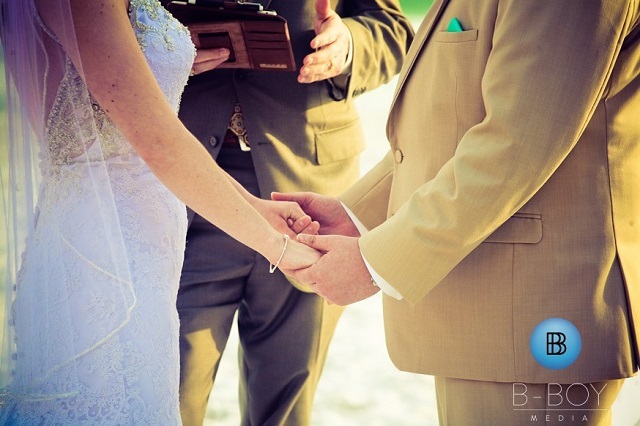 The ceremony took place on the beach that you access via the resort’s private ferry. The cocktail hour and reception were all held outside on the Captain’s Deck. 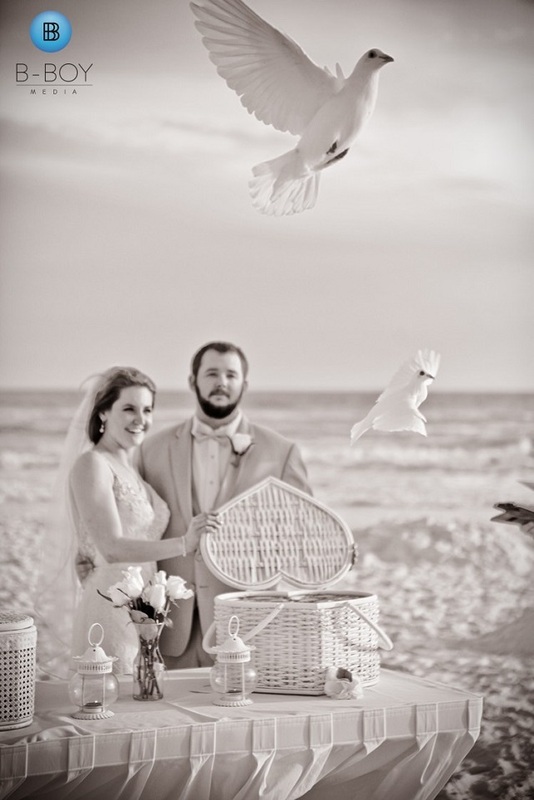 We had one of our more elaborate packages booked for Marc Stepp and Jaclyn Crossno’s wedding. We provided our ceremony sound system rental, ceremony videography services, Cocktail Hour Live Musician services, photo booth and our signature DJ/Emcee Services. 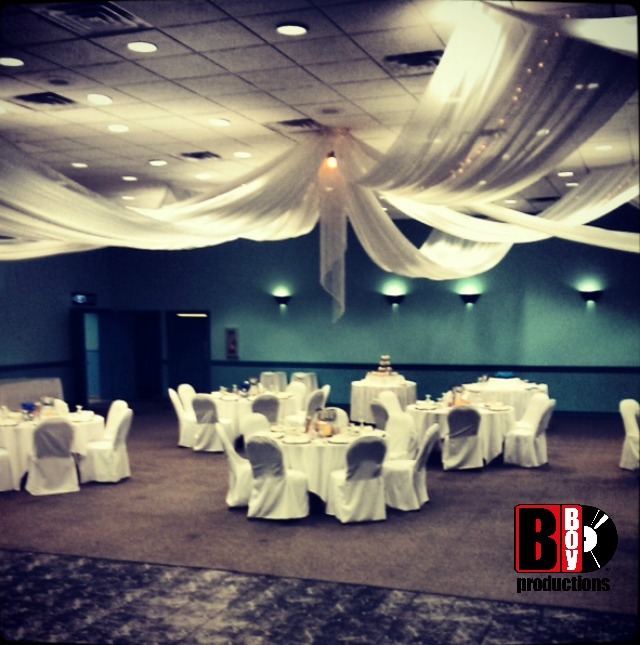 The flowers and event design were done courtesy of Blu Event Design & Couture Florals. 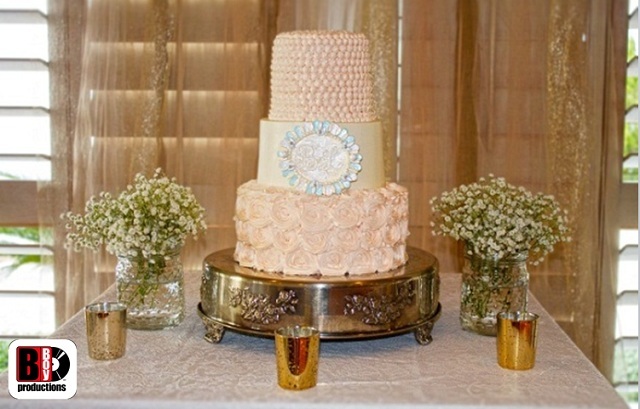 The cake was provided by Say Cake Bakery. Guests were enjoying the refreshing breeze, noise of the wildlife and the boats sailing by as the bridal party arrived to the ceremony location via the ferry. Everything came together like clockwork. The bridal party walked down to “Marry Me” by Train while Jaclyn and her father were serenaded by a very modern violin cover of Christina Perri’s “1000 Years” by Rachel Pierce. As guests arrived for cocktail hour on the Captains Deck, our cocktail hour guitarist/vocalist, Dan Austin, kept that laid back vibe going. The beverages were flowing, the Photo Booth was in full operation, and guests were enjoying one another’s company. It was the perfect segue to what was going to be an epic Grand Entrance. The bridal party came down the spiral staircase to “Whoomp (There It Is)” by Tag Team. You could see the crowd brimming with excitement. It was a loud erumpent of cheers when Marc and Jaclyn were introduced as “Let’s Get it Started” by Black Eyed Peas blared through the speakers. 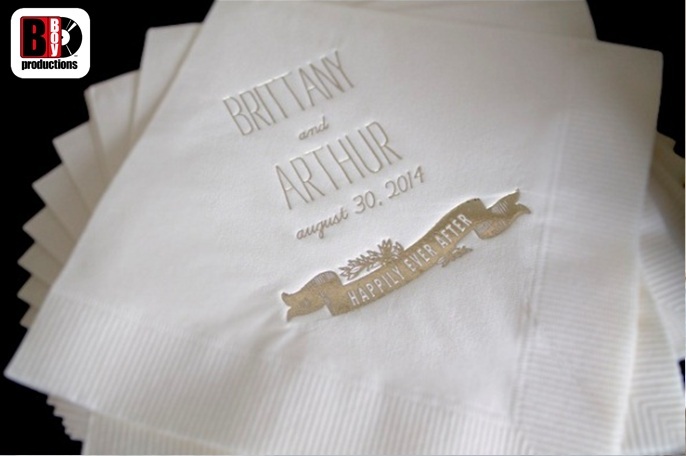 All the pent up excitement was finally released and the reception had officially started! As dinner was concluding, I was able to make a few of the kid’s night by playing “In Summer” from the Frozen soundtrack. The bride and groom then danced to an amazing Maroon 5 cover of Al Green’s “Let’s Stay Together”. Their newlywed love was on full display during that dance as they were laughing and having a good time. It was time for the open dance set. The song of the night was an oldie but a goodie – “Pour Some Sugar (On Me)” by Def Leppard. The crowd went wild. It took the party up another level. 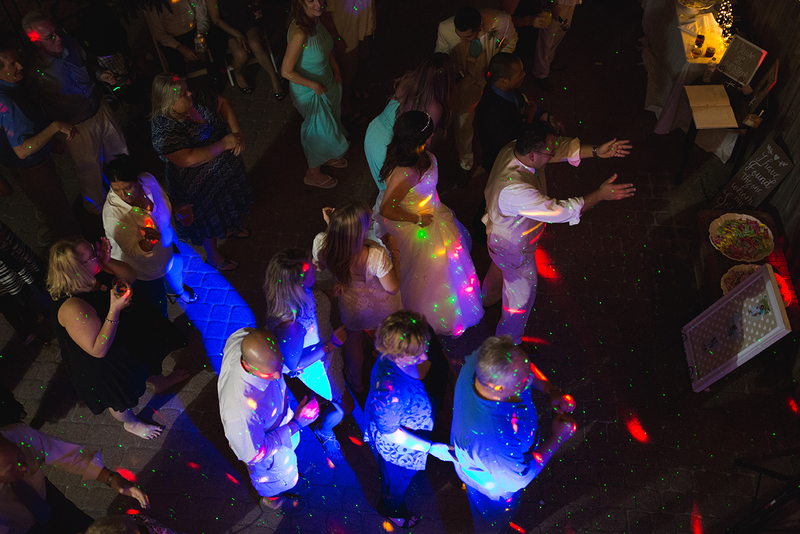 Once the party concluded, you could tell that everyone seemed to have thoroughly enjoyed themselvesThanks Marc and Jaclyn for letting us be a part of your day! 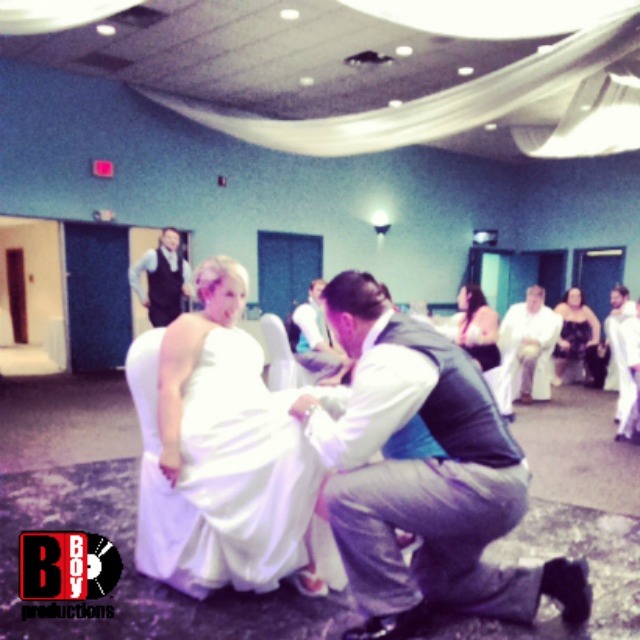 March 12, 2014	by B-Boy Productions, Inc.
My first event of 2014 had me providing Emcee services for the wedding of Chris DeMonte and Kayte Steele. Their wedding date just happened to be February 15—the day after Valentine’s Day! So, to say love was in the air would be an understatement. 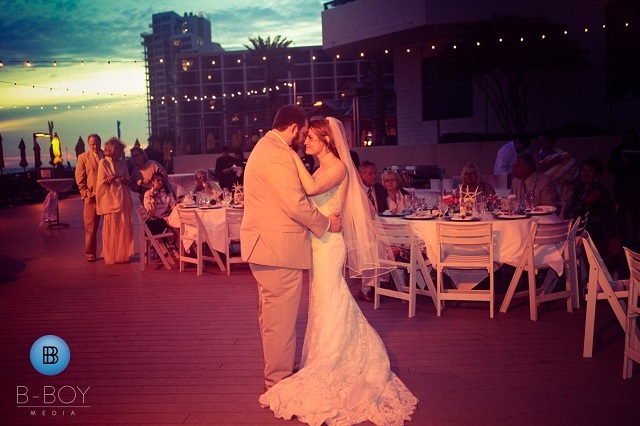 Their wedding took place at the Ramada Plaza Fort Walton Beach, a beautiful venue on Okaloosa Island in Fort Walton Beach, FL. 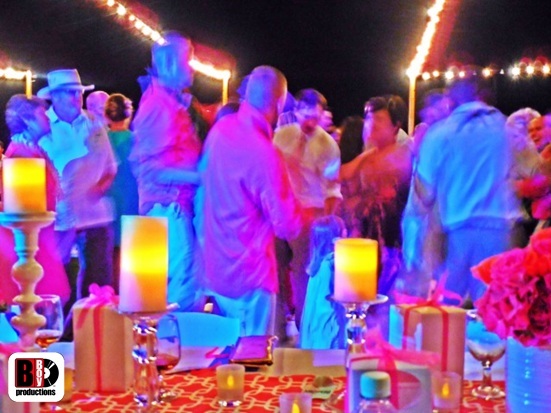 DJ Irving G and I began the festivities by providing Wedding Ceremony Sound on the beach. With our cordless battery powered system, everything looked clean and sounded great! 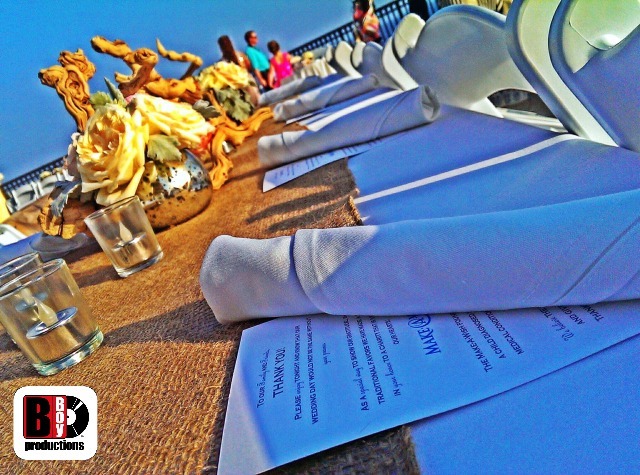 Classical music set an elegant atmosphere during the seating of the guests. For their entire processional, Chris and Kayte asked for an instrumental cover of the Phillip Phillips song “Home,” performed by the Piano Guys. The song is a meaningful selection for the couple; it provided a soothing air of remembrance as Chris began the procession by coming down the aisle carrying a framed photograph of his mother, then built to a perfect crescendo as the bride made her entrance. Upon the officiant’s pronouncement of the couple as now being “Mr. And Mrs. Chris DeMonte,” we launched into the original, more upbeat version of “Home” by Philip Philips as the bride, her groom, and the rest of the wedding party danced and jived their way back down the aisle. Inside the Ramada’s Ambassador Ballroom, the décor looked amazing with a gorgeous centerpiece of crystal and drapery suspended above the dance floor along with the floral arrangements by Connect with Flowers. The main cake table sported a tower of vanilla cupcakes just waiting to be devoured. 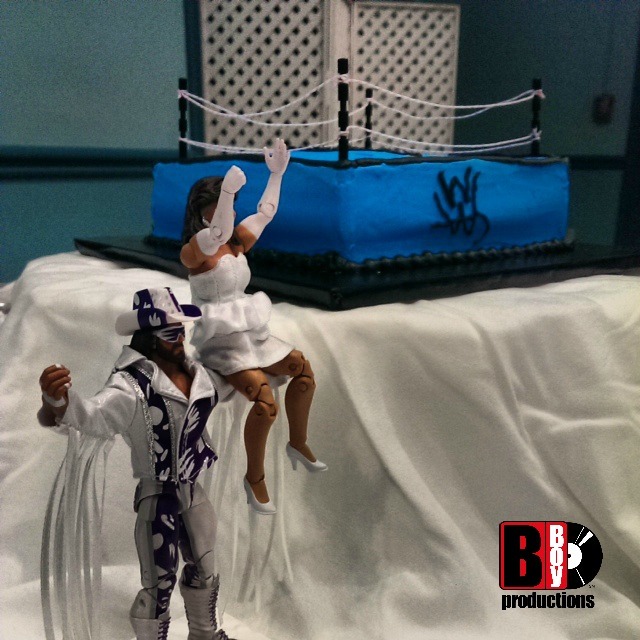 But what most guests stopped to admire was the groom’s cake—a miniature replica of a professional wrestling ring, complete with figurines of “Macho Man” Randy Savage and his beloved Miss Elizabeth hoisted upon his shoulder. The cake was the creation of Adonna’s Bakery. Did I mention Chris is a huge pro wrestling fan (perhaps you gathered that already from the groom’s cake)? Never was this more evident than during the wedding party’s official grand entrance. In my best ring announcer voice, I introduced the bride and groom as “the new undefeatable tag team champions of the world”. They entered to a thunderous standing ovation as the classic “Pomp and Circumstance” (the Macho Man’s entrance music) played in the background. It was an unforgettable moment for everyone! 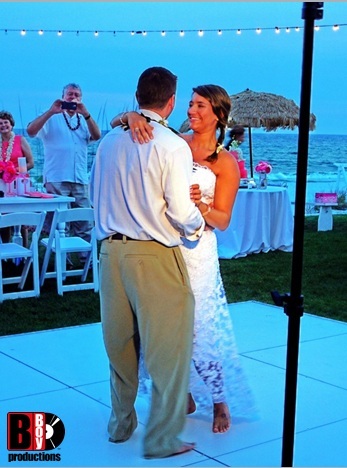 Chris and Kayte shared their first dance as husband and wife to the son “Wanted” by Hunter Hayes. So as not to spend time on a lot of formalities later in the evening, the Father/Daughter dance immediately followed, featuring “Vienna” by Billy Joel—a song with very special meaning for Kayte and her Dad. To set the party tone, DJ Irving G treated the guests to a short dance set before dinner was served. 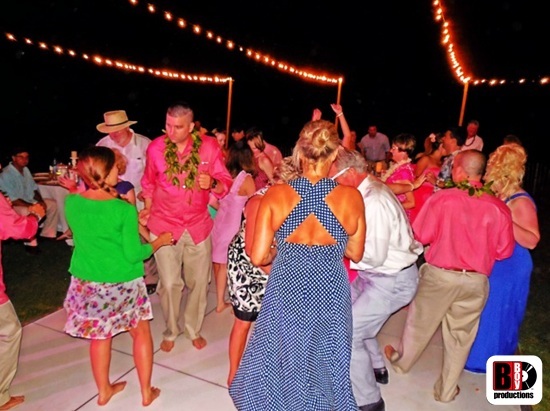 After dinner, the dance floor filled up with couples during our Anniversary Countdown then stayed full as DJ Irving cranked out hit after hit and the guests danced the night away! Our signature “Garter Switch” was quite a hilarious spectacle! All the guests gathered around for not only a better view and a good laugh but no doubt a classic picture or two as well. Kayte and Chris were one of the most easy-going and genuinely grateful couples I’ve ever had the pleasure to meet. I wish them a lifetime of celebrations and hope our paths cross again.